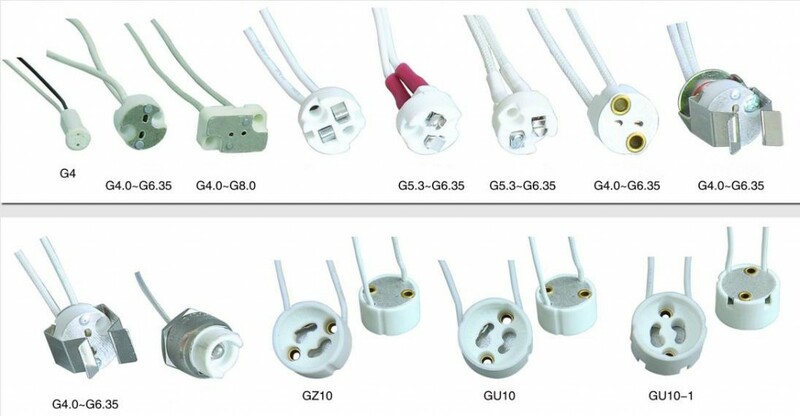 What most people visualize when the “light socket types” goes off in their head and probably the most common type of residential light bulb is the “A” shape. Common sizes of the A bulb are A15, A19, and A21. The number designation in the code is usually the width of the bulb at its widest point designated in eighths of an inch. So an A19 is an A shape bulb and is 2.375 inches in diameter (19 divided by 8). This code designation applies to almost all types of residential lighting, where the letters stand for the bulb shape and the number is the diameter at the widest point. An exception to this is the twisted compact fluorescent bulb (CFL) that doesn’t have a common designation code. light socket types EP10/14 × 11 – thread crest diameter of 10mm prefocusing screw base, the total length of approximately 14mm, a skirt diameter of approximately 11mm. B22D-3 (90 · / 135 ·) / 25 × 26 – means with the two contact piece, the diameter of about 22mm bayonet lamp cap, also carries three positioning pins, the radial distribution of angles of 90 · 135 · 135 ·; total length of about 25mm, the skirt diameter approximately 26mm. BAY15d/19– means with bias positioning pins, the diameter of about 15mm, the two contact sheets (Automotive) bayonet lamp cap, its total length is approximately 19mm. K59d/80 × 63 – means with two flexible connecting member, a shell diameter of about 59mm of the lamp, the total length of the shell is about 80mm, a skirt diameter of about 63mm. 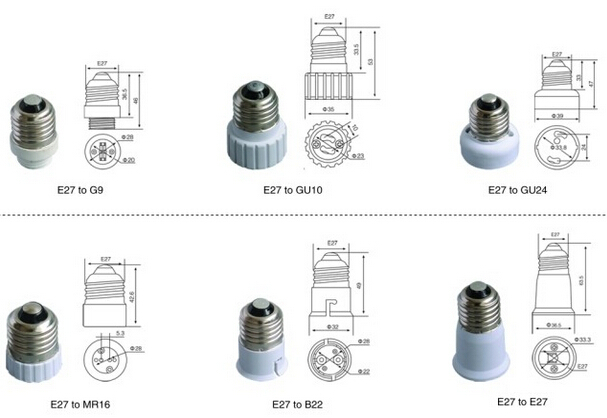 R17d/80 × 63 – (recessed double contacts lamp of the maximum transverse dimension of the positioning of the lamp in the lampholder is necessary) the insulator of about 17mm, the housing height of approximately 10mm, casing diameter of approximately 35mm. SV8.5-8– the shell is cone-shaped, the end of a diameter of about 8.5mm shell lamp from cones diameter 3.5mm to shell opening end measured shell length of about 8mm. T6.8– refers to the contacts between the outside width of about 6.8mm phone lamp. Next: What’s a lamp holder socket?